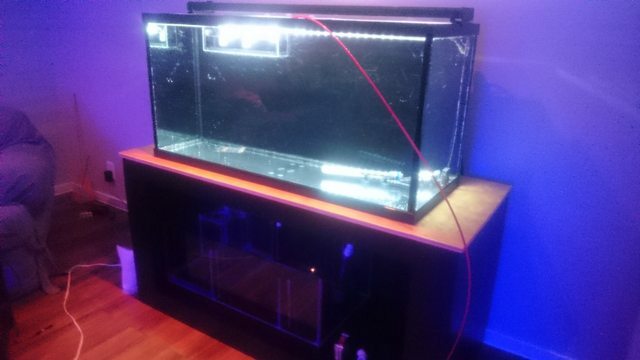 Going to start a separate thread for my new 90g tank build. Last edited by Myka; 10-23-2017 at 02:24 AM. 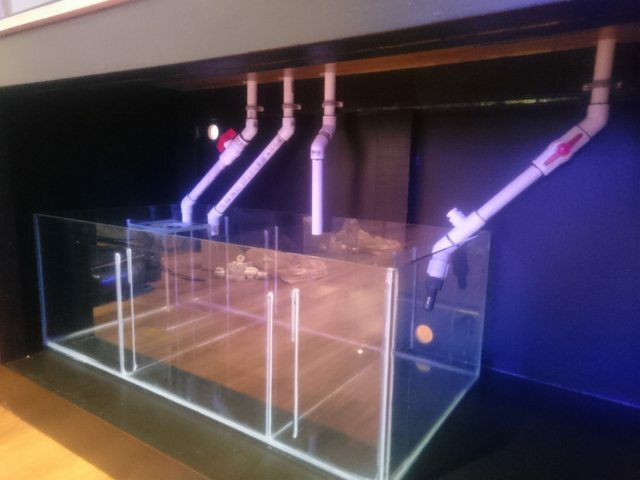 pic of the filter sock workings and full setup before plumbing. Tried 5% auto window tint instead of black paint this time. Last edited by Tigweldpro; 10-21-2017 at 08:56 PM. Looking good. I will keep my eyes on this one for the progression. 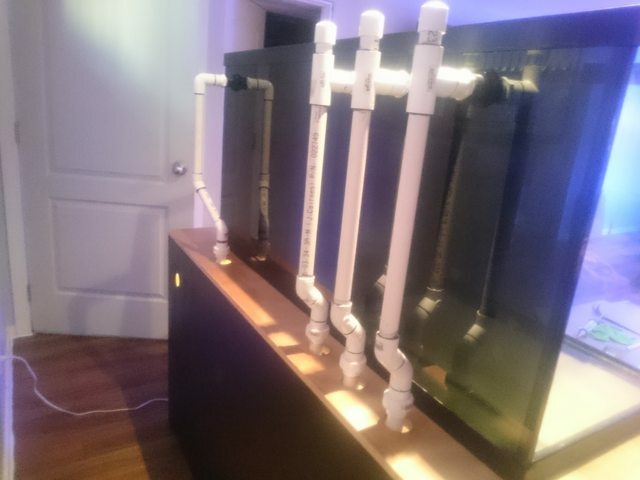 All plumbed & Level. I forgot how time consuming plumbing is when your very particular/OCD. 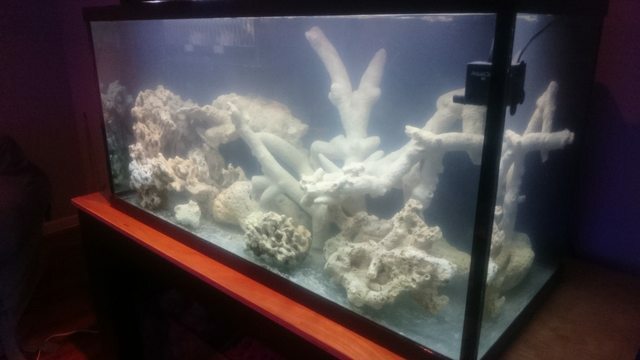 Finally tank is full & sump is half full. Dumping 3/4 bucket of salt in the tank felt good. Salt storm! 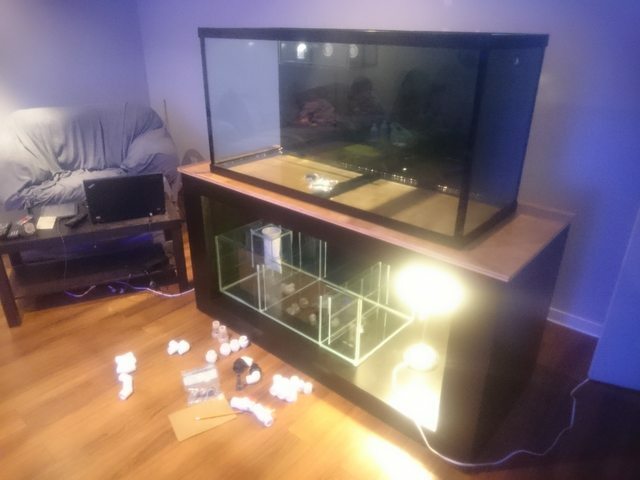 Nice build this far, what are your stocking plans for this tank and will you be adding sand or going bb? 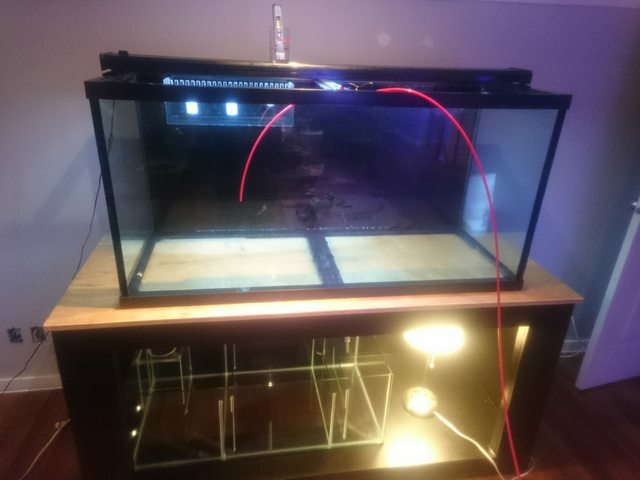 Let the cycle begin. It will be nice when you can get the first additions added. 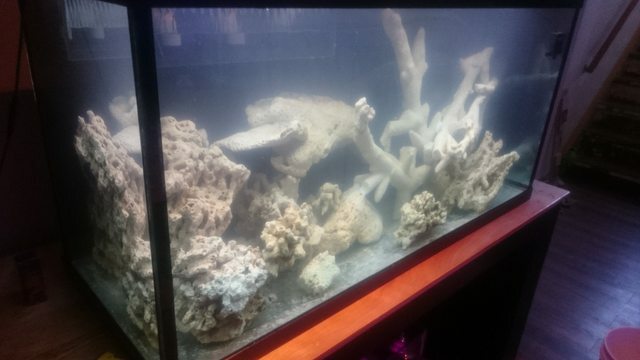 Just transferring my current fish\coral from the 38g cube for the now. like to get a pair of bangaii and firefish. If the small yellow tang I have currently does good in the 90 I would like to add a regal tang(dory). Do you think a 90 is big enough for a regal? 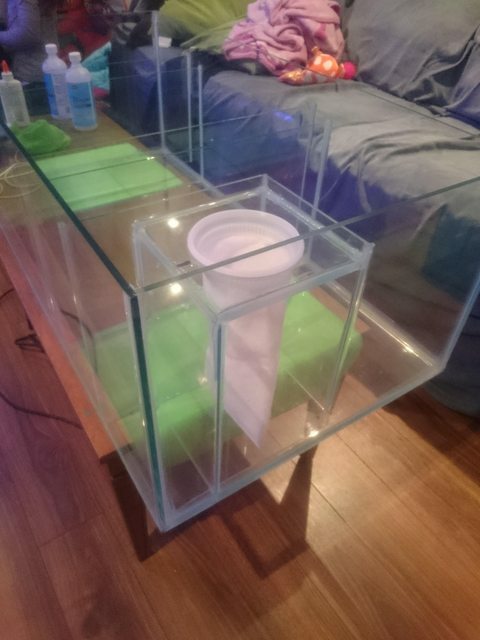 Holy crap this aquascape is going to take some serious work! 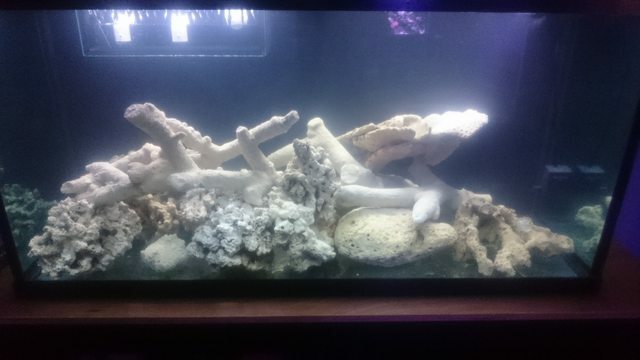 pretty good mix of different rock I just have no clue where to go...... this scape may take longer than the cycle. 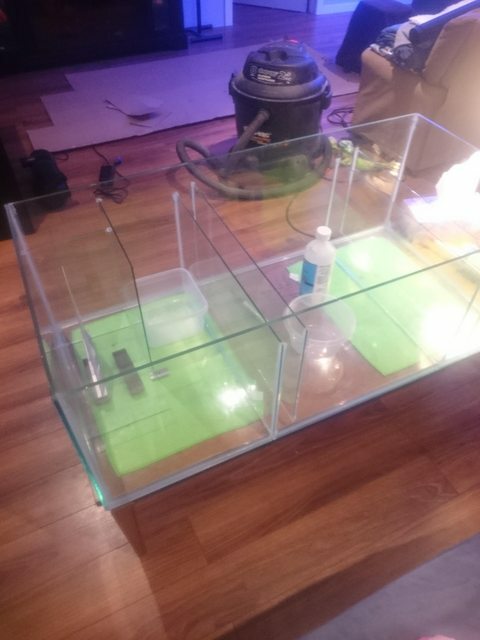 well many hrs later and this is what I came up with...... All the piece that touch the glass are cut flat. There are 5pcs glued with JB waterwweld and cyano superglue. 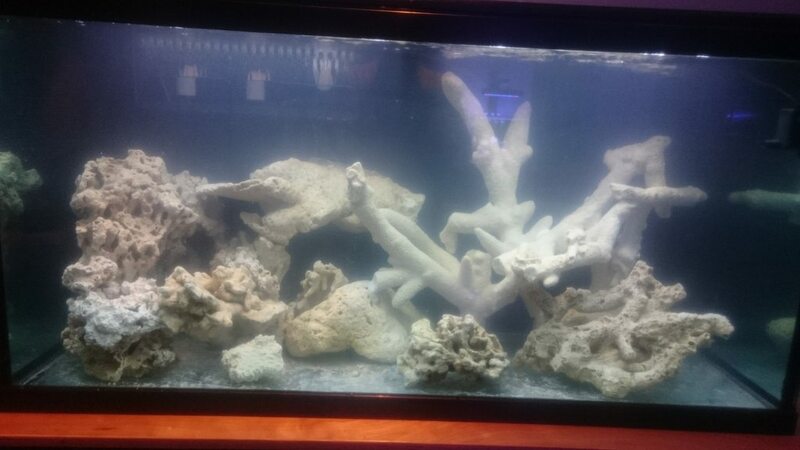 and a few island rocks just placed on bottom. 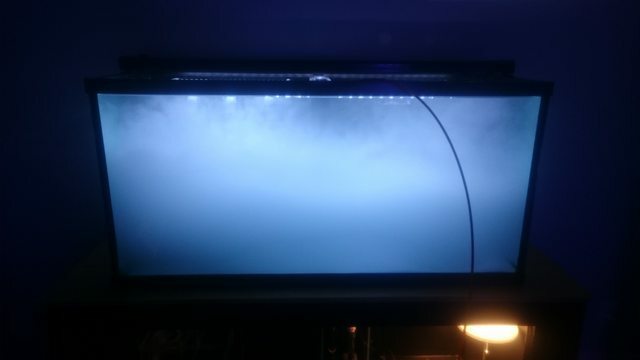 The water is very cloudy still and the crappy freshwater LED isint helping any.